The monumental wall work by Barbara Kruger has been reinstalled in Los Angeles. 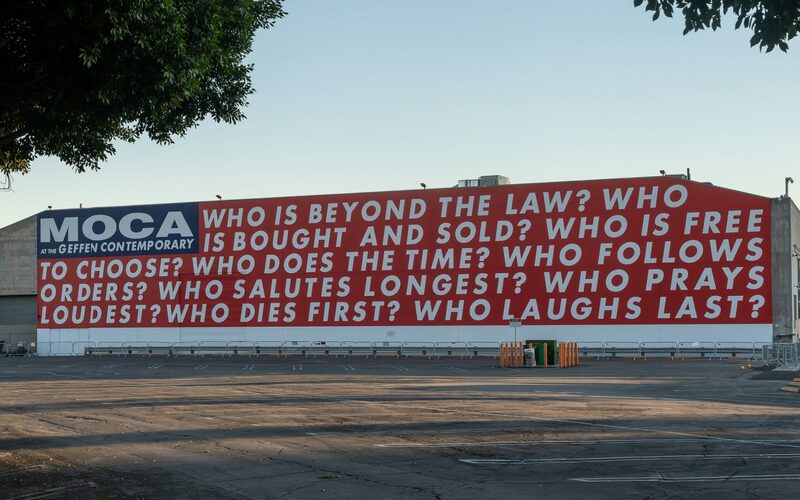 The Museum of Contemporary Art, Los Angeles, has reinstalled a monumental wall work by artist Barbara Kruger that after decades is still relevant. 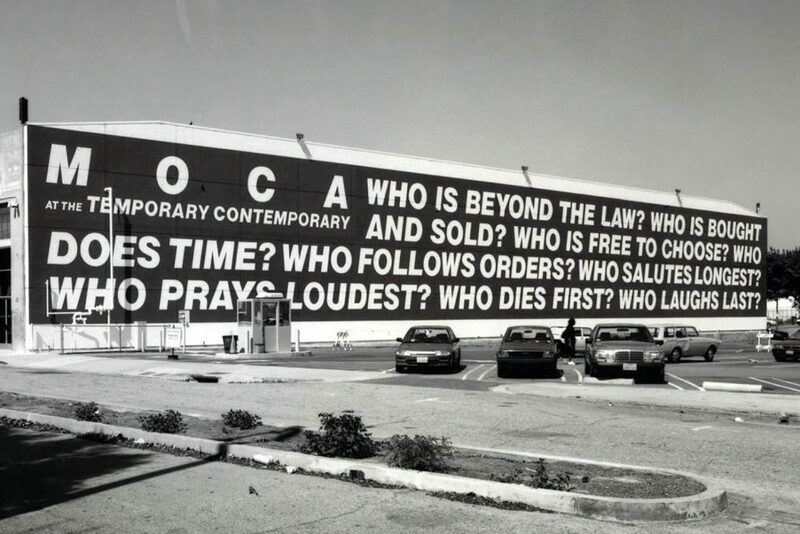 The piece, called Untitled (Questions), was originally commissioned by MOCA in 1989 for the exhibition “A Forest of Signs: Art in the Crisis of Representation” and was last installed in 1990 on the south wall of MOCA’s then Temporary Contemporary building. This iteration is installed on the north façade of the Geffen Contemporary at MOCA, facing Temple Street, and measures 30 feet by 191 feet. 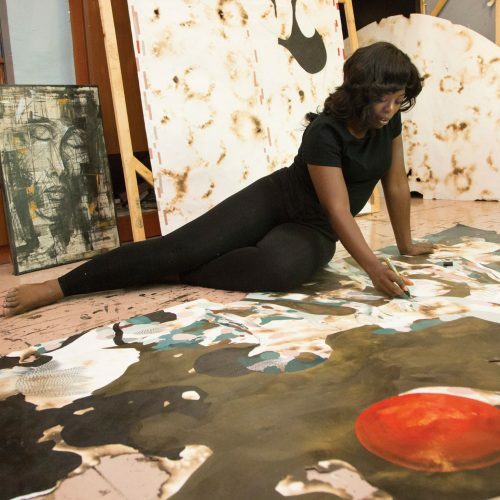 The work includes nine questions such as “Who is beyond the law?” “Who is bought and sold?” and “Who is free to choose?” The artwork uses these questions to point to issues of patriotism, civic engagement, and power relations. This installation is the first public-facing project since the appointment of Klaus Biesenbach as MOCA’s director and reflects his commitment to the museum’s active engagement in civic dialogue, democratic participation, and community activation. 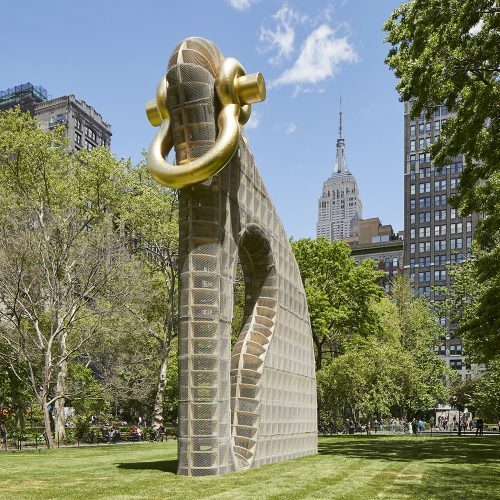 In connection with the installation, a series of voter registration efforts will be anchored by the artwork in advance of the 2018 midterms, as well as the 2020 general election. 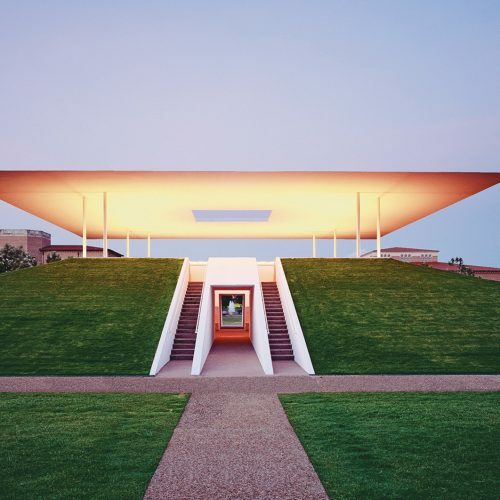 The work is currently on view and will remain installed through November of 2020.